Chart No. 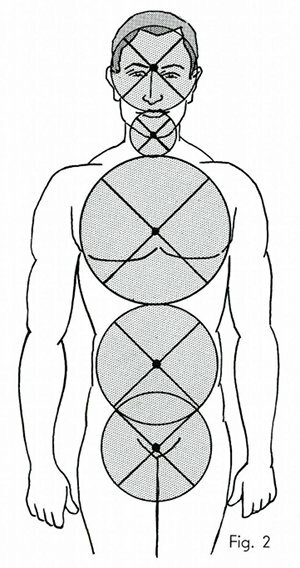 6 - Primary Fields of Space Circles as Body Cavities with Their Cross Over [Crossover] Polarity Lines of Energy and One Neuter [Neutral] Center in Each. 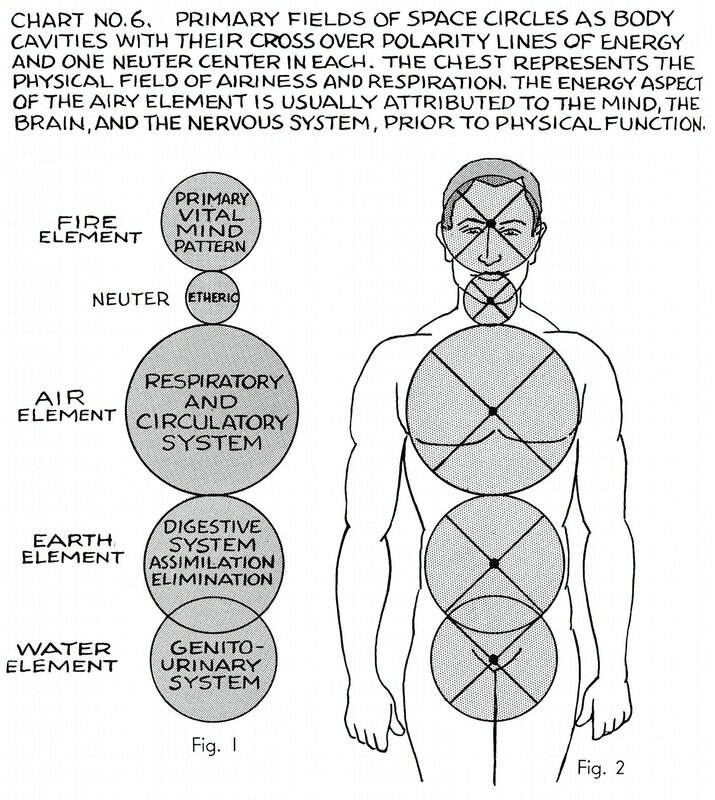 The Chest Represents the Physical Field of Airiness and Respiration. The Energy Aspect of the Airy Element is Usually Attributed to the Mind, the Brain, and the Nervous System, Prior to Physical Function. Book 3, "Explanation of Chart No. 6"